"Do you know Dr. Gannon?" Dreamy Dr. Joe can crack my chest open anytime. 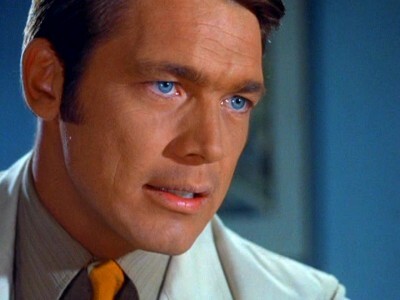 In fact, he already did...when he first flashed those cold, cold baby blues at me. Warner Bros.' increasingly addictive Archive Collection, their exclusive on-line outlet for M.O.D. 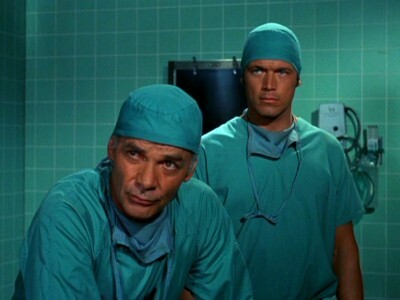 (manufactured on demand) discs of their library titles, has rescued from obscurity one of the best TV dramas from the 1970s: CBS's Medical Center. 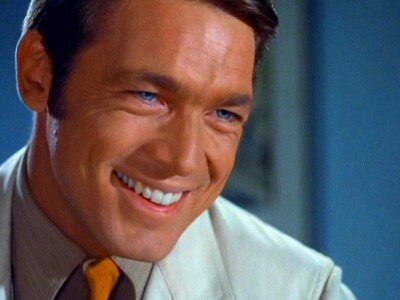 Starring heartthrobs Chad Everett and James Daly (you bet Daly was also a heartthrob―my granny would get the vapors whenever he adjusted his stethoscope), Medical Center: The Complete First Season is a six-disc, 26-episode collection of the popular, long-running medico show's premiere outing, and it's just what you'd expect from a network A-list series from that time period: beautifully written, performed and produced. No extras, unfortunately, for this terrific-looking series (the original TV pilot, U.M.C., starring Daly and Edward G. Robinson, and retitled Operation Heartbeat for release, is available separately from Warner's Archive Collection). Los Angeles, California, 1969 B.O.C. (Before ObamaCare). 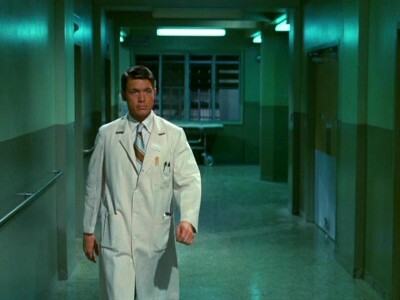 At the state-of-the-art Medical Center, strapping, square-jawed, 100% insured-against-malpractice Dr. Joe Gannon (Chad Everett) strides through the pea green soup-colored halls like an Olympic god, dispensing pity bromides and lightning-fast scalpel incisions with eerie aplomb. In Room 447, there's a racist who doesn't like his black doctor. In Room 443, there's a blind girl whose hippie boyfriend cracked up his motorcycle. In Room 441, there's a U.N. Ambassador whose heart is about to vapor lock. And calmly, calmly, Dr. Joe moves from one room to the other, working slowly and carefully through his diagnosis before whipping out a number 10 Dermatome and striking like a cat, much to the consternation of flibbertigibbet parents, joy-boy scalpel jockeys, and administrators who don't know their catheters from their elbows. Usually offering backup is Chief of Staff Dr. Paul Lochner (James Daly), who knows Dr. Joe is the best surgeon around, who knows Dr. Joe is almost always right, and who knows Dr. Joe is certainly the best-dressed cat on his staff. That doesn't mean they don't scrap and spark a little over procedure, or over diagnoses; however, their relationship is basically sound: Dr. Joe gets the sighs from adoring female patients, and Dr. Paul has board meetings and drinks a lot of coffee. Into these halls come the sick, the broken, and the dying, and they leave...healed. I couldn't resist being a little facetious in that synopsis, but truth be told, the serious-minded Medical Center doesn't really play like that at all. 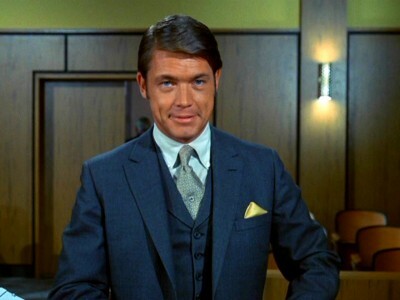 A never-miss favorite of mine when I was a kid, I chiefly remember two things from the series: first, I wanted to be Chad Everett (why not? He's perfect, for chrissakes), and second, goddammit if I wasn't always palpitating suspicious lumps I imagined all over my body because everyone seemed to come into Medical Center with a suspicious lump and sure enough, they wound up with some kind of tumor―shows like this scared the beejezzus out of me as a kid, and probably turned me into the hypochondriac I am today. 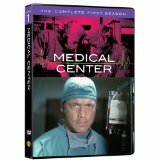 Prior to greedily watching every minute of this first season on disc, I doubt I saw Medical Center since its original run over 40 years ago (did it ever go into syndication, because I never saw it in my market). 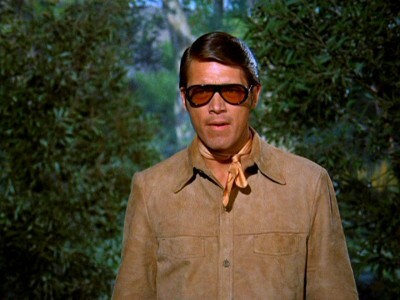 I didn't remember any episodes from this go-around (I was only three when it premiered), but what did stick with me from later seasons was a heavyweight show that mixed glossy professionalism and literate writing (from the "Tiffany" network that invented such a combo) and this first collection of episodes was no different. Watching the show today, I was impressed with the measured seriousness of the piece, and the episodes' consistent resistance to "ham up" the dramatics. 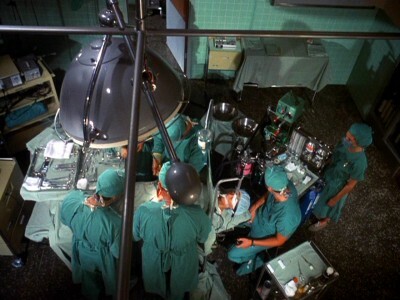 On the contrary, unlike the recent review I wrote for the 1961 medical drama, The Interns ("hokey" incarnate, for the most part), Medical Center is remarkably straight-faced (for 1969) when it talks about sensitive medical subjects like abortion or V.D., achieving an admirable semi-documentary feel for the actual process the doctors go through to reach a diagnosis, followed by lengthy treatment (or at least as lengthy and "semi-documentary" as you can get in a big, expensive, glossy 50-minute network drama). Now, I must admit at this point that I was curious to see what others thought about this series (since I was enjoying it so much), so I had my wife watch some of it with me―she claimed she'd gladly get hit by a crosstown bus if Chad Everett would do the stitching, so she got kicked out―and I also scanned the net to see if I could find any contemporary reviews. I won't mention any names (they've got this one gimmick...and they've been beating it into the ground for years...), but what I found was about what I expected: polite condescension mired in misreading. 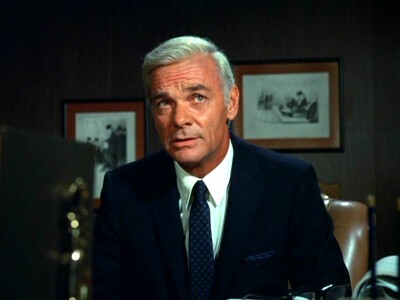 Singling out a 40+ year-old show for perceived errors in societal mores is always amusing (what you think is "correct" today, they'll be laughing at 40 years from now, too), while bemoaning the millennia-old dramatic construct of actually having a final act conflict before a resolution (how novel! ), was funnier still. As for running down the pacing of Medical Center, that seems to miss the point of the show entirely...while also not understanding the fundamental appeal of vintage dramatic television. Granted, vintage television appears "slower" to viewers today whose attention spans demand entire scenes lasting no longer than 30 seconds. 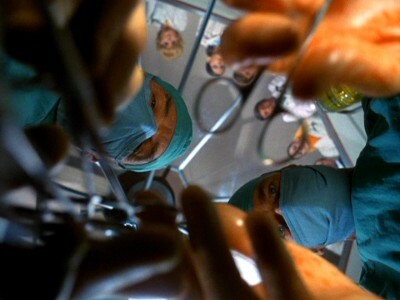 However, Medical Center's focus on the entire procedure of examining, diagnosing and treating a patient shows a willingness to involve the viewer in a lengthy process that produces the very drama inherent in those patients' illnesses, as well as the conflict that erupts from Dr. Joe's meticulous procedural methodology. No wonder the big medico hit of the "new" television era―the dubious, insufferably sanctimonious E.R.―was located in an emergency room: who has the patience anymore to watch Dr. Joe take days to achieve the proper diagnosis and treatment for a kidney patient? Let's watch a helicopter blow up instead, with blood squirting out of arteries while everyone runs around shouting and posing for moody sulks at the camera. (Click here to see how quickly Dr. Joe's life goes from joyous to tragic!) . As per an A-level effort from CBS at the time, the supporting players are all heavyweights: O.J. Simpson, Cicely Tyson, Edward Asner, Dana Elcar, Dyan Cannon, Robert Lansing, Gerald S. O'Loughlin (who's remarkable in Emergency in Ward E), Barbara Rush, John McMartin, Jayne Meadows (in a recurring role as snappish Nurse Chambers), France Nuyen, Harold J. Stone, Tim Considine, Corrine Camacho (in a recurring role as shrink Dr. Jeanne Bartlett, sometime love interest of Dr. Joe), Brooke Bundy, Michael Brandon, John Ericson, John Marley (excellent in a controlled performance), Lloyd Bochner (who gets the crap beaten out of him by "Blue Boy" himself, Michael Burns), Viveca Lindfors (who's lovely with Walter Pigeon), Linden Chiles, Lee Grant (always overdoing it...), Belinda Montgomery, Christopher Stone, Pat Hingle, Greg Mullavey, Carrie Snodgress, Inga Swenson, Tyne Daly (thanks, Dad! 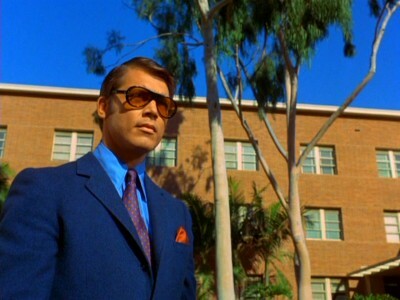 ), Simon Oakland, Richard Thomas, Steve Ihnat (another great performance from this criminally neglected actor), Bruce Davison ("Tear 'em up! 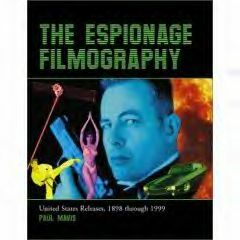 "), Martin Sheen, Mercedes McCambridge (love it when she's gobbling pills...), Cliff Potts, Shelby Grant (delicious), Forrest Tucker (in probably the best performance I've seen from him), Slim Pickens, Jo Ann Harris (doll), William Shatner (set to "9" and jumping around like a speed freak on a hot skillet), Carl Betz, Wendell Burton, the always great Tim O'Connor, Ben Murphy, David Cassidy, Georg Standford Brown (terrific, as usual), Will Geer (ditto), Sharon Farrell, Walter Koenig, and Tom Skerritt, right before M*A*S*H broke through. Whew! That's a supporting cast of players! CBS wasn't screwing around when it came to slotting Medical Center in its Fall, 1969 schedule: they sandwiched it inbetween a group of up-and-comers and proven veterans. Settled in the sweet spot at 9:00pm on Wednesday nights, Medical Center's lead-off at 8:00pm was The Glen Campbell Goodtime Hour (the smash mid-season replacement series from January, 1969 that rocketed to 15th for that 1968-1969 season), once-king The Beverly Hillbillies (which would chart for the last time with a still-impressive 18th for this 1969-1970 season), with follow-up Hawaii Five-O in its sophomore season, benefiting from the schedule move, where it would chart an impressive 19th for the year―a solid night of family viewing. 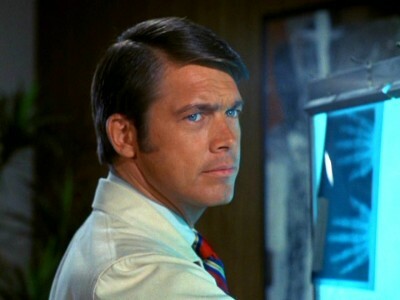 With no real direct competition from NBC's Kraft Music Hall one-offs, or ABC's Wednesday Night Movie (neither of which charted in the Nielsen Top Thirty), Medical Center handily won its time slot...but failed to rank in the Top Thirty, either, in this first go-around. That wouldn't be the case next year, when it would catapult into the Nielsen Top Ten...for it's only time. 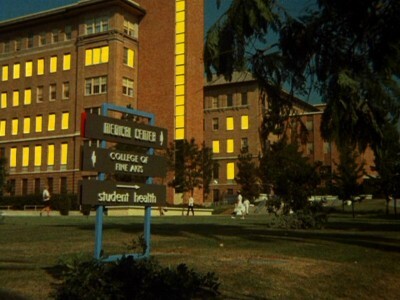 The full-screen, 1.33:1 color transfers for Medical Center: The Complete First Season look gorgeous, with rich, full color, a sharpish image, and only minor scratches and dirt. TV looked like the big-screen movies back then...I only wish I had grown up with a color set! The Dolby Digital English mono audio track is another story. Re-recorded at a tinny, low volume, the fluctuating levels are hard on the dialogue. Close-captions and subtitles might have helped, but no-go on these Archive discs. 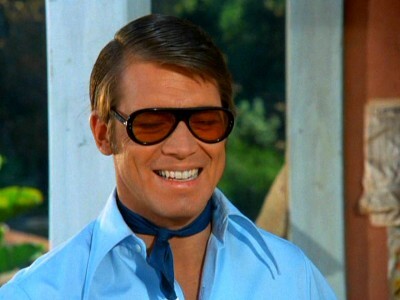 One of the 1970s best TV dramas plays just fine today. 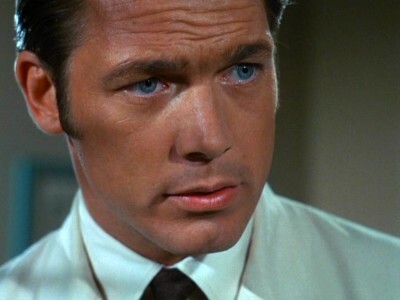 Medical Center: The Complete First Season features well-crafted, thought-provoking writing presented in a refreshingly serious-minded fashion, with Chad Everett and James Daly ably anchoring the excellent supporting casts. Some of the context may be necessarily dated...but the core is as relevant now as it was 40-some years ago. I'm highly, highly recommending Medical Center: The Complete First Season.